How do I edt and email template? 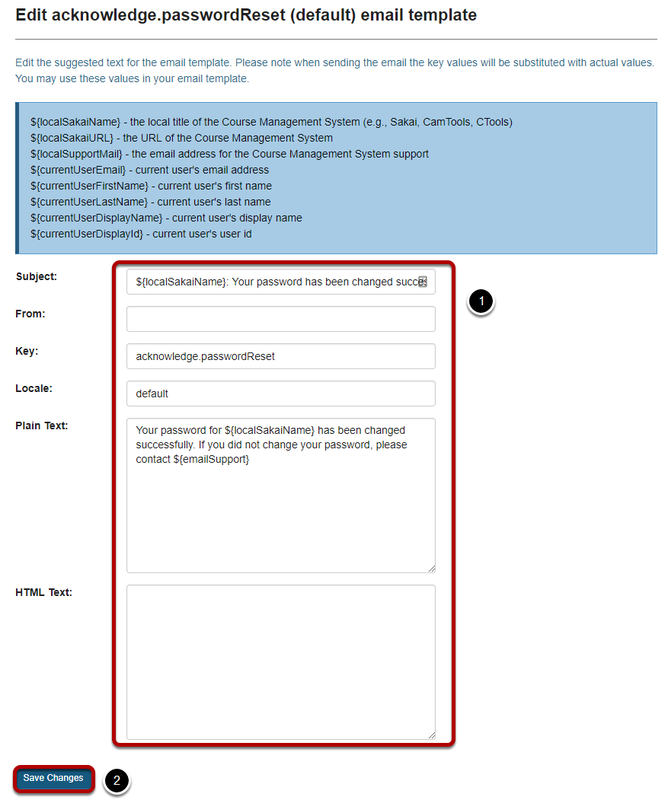 Sakai Community DocumentationSakai 12 Administrator Guide (English) Email TemplatesHow do I edit an email template? Select the Edit link for the template you would like to modify. Zoom: Edit the template as needed. Edit the email template as needed. Click the Save Changes button to save your modifications. Prev: What is the Email Templates tool? Next: How do I add a new email template?